In one week, we’ll be sitting down to carve the turkey, pass the carrot souffle and have just one extra piece of pecan pie with family and friends. You’ve got all the sides and accouterments picked out but what about the table itself? 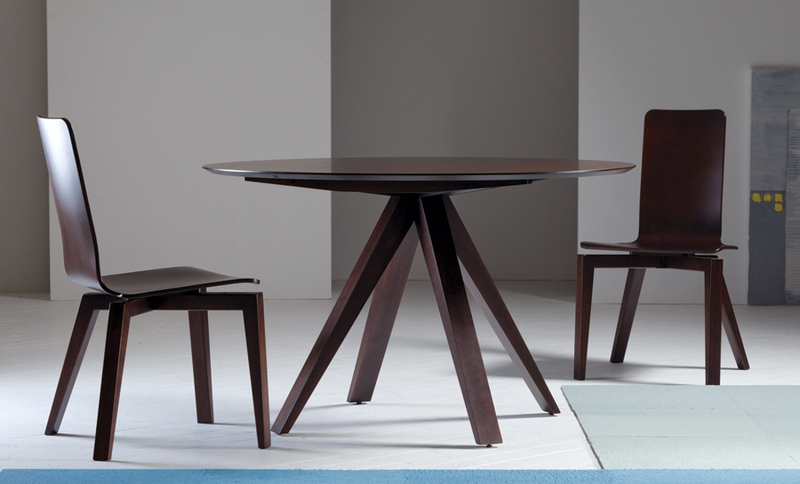 We’ve curated our Five Dining Tables for the Holidays whether you like tradition, rustic or modern. Hoping to freshen up your space this season? Stop in for 20% off all custom Saloom and Dinec dining through November 25. The Weston Trestle from Saloom adds a little edge to your room with it’s rugged feel. Cozy & comfy … perfect next to a warm fire place and a turkey centerpiece. Personalize it with their distressing option for a family heirloom look … it’s built to last for many generations. The Seabreeze from Dinec exudes timeless style. 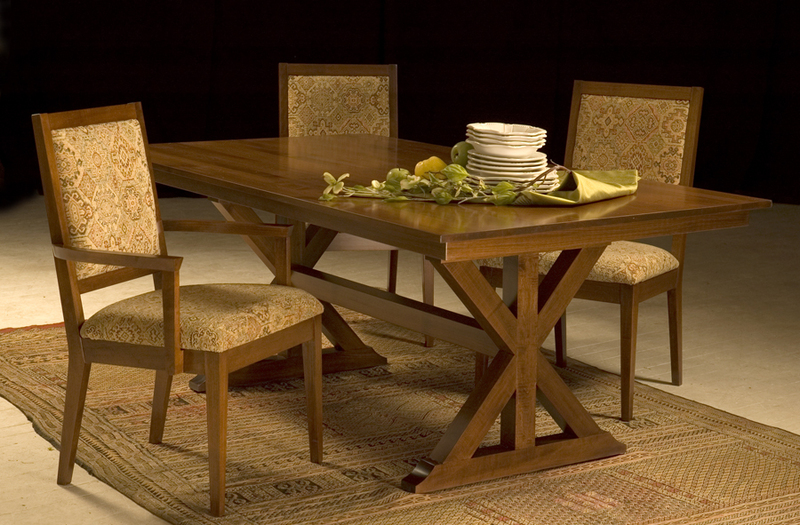 Curved legs and upholstered seating keep the style casual and suited for family dinners of all occasions. 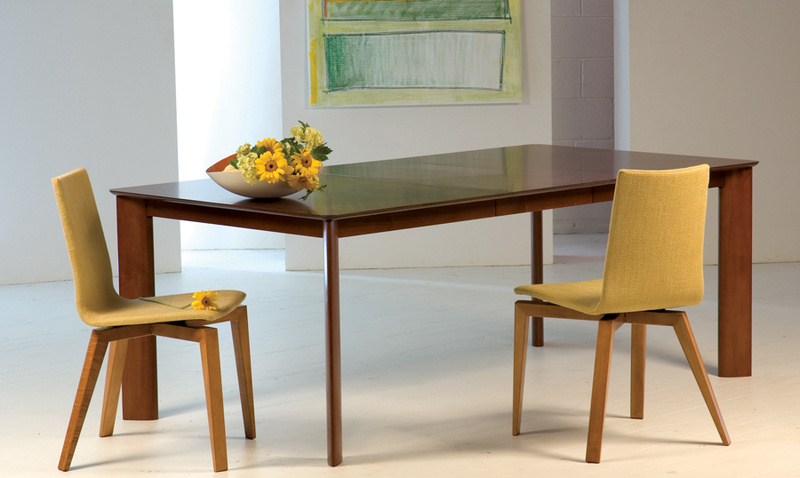 Classic design on the pedestal table with some mid-century modern-ness complete this look by Dinec. 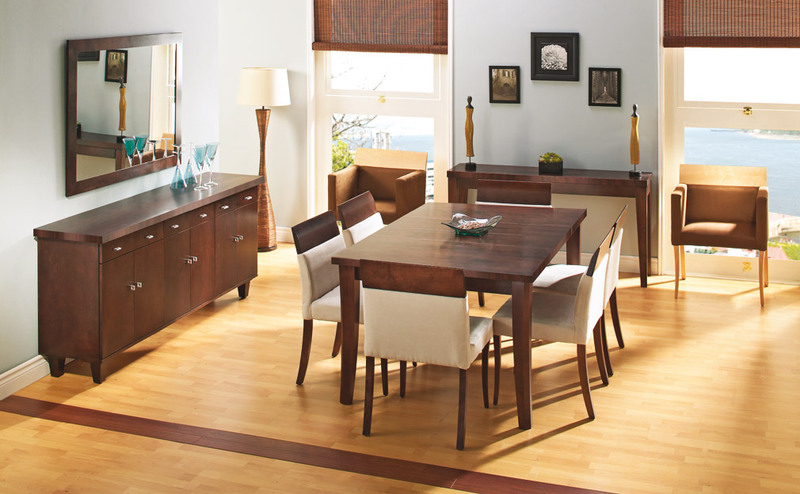 Make it yours by choosing different upholstery and table finish. Available on a variety of finishes and sizes this original modern design by Saloom is in solid maple. Choose the size and color to fit your city space. Design doesn’t have to be complex. This perfectly stated Ari set from Saloom sets the scene for any occasion. What dining designs make your heart pitter pat? Stop by the showroom through November 25th for 20% off your custom dining. You design it, they build it.